Enjoy life on the water! 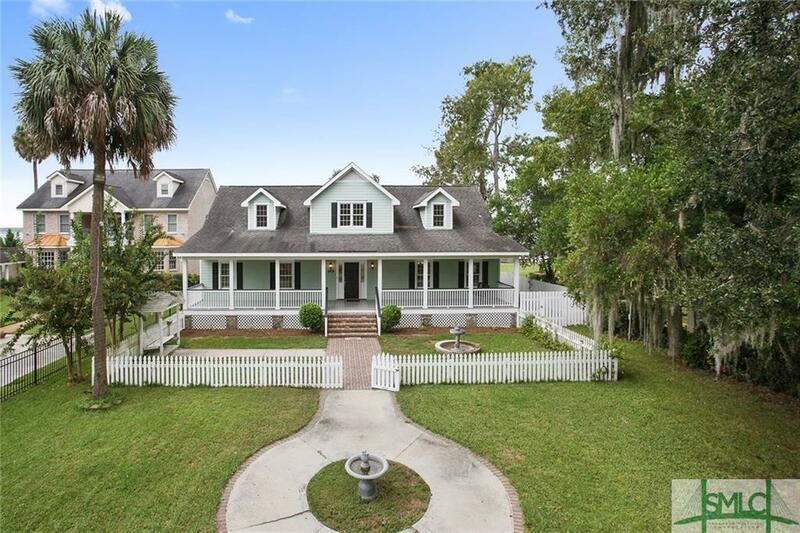 Charming Low Country Architecture with picket fence and great Southern style front porch complete with a swing . Home features 4 bedrooms, 2.5 baths with Master on the main floor and one additional bedroom on main, 2 large bedrooms upstairs, open and bright floor plan with hardwood floors, cook's kitchen and a great Sunroom overlooking the deep water . Magnificent views of the Wilmington River from almost every room. Expansive decks and large backyard with enough area for a pool. Imagine spending time enjoying the water, swimming, fishing or crabbing on your private deep water dock with screened area, boat hoist, floating dock & sun deck. Exceptional price for move in ready home on deep water with a dock on Wilmington Island.